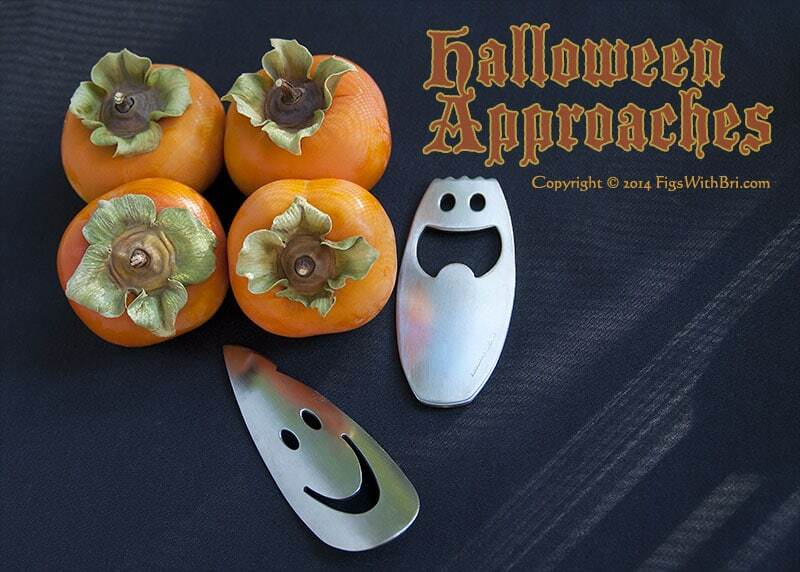 There’s more to orange than autumn leaves and Halloween pumpkins…persimmons are ripe! And these charming, rather ghost-like kitchen gadgets by Hogri seem delighted! Halloween Approaches! October glows orange everywhere I look. Liquid amber and pistashio trees flaunt russet-hued autumn leaves. At the farmers markets, Fuyu and Hachiya persimmons pile high beside brilliant orange peppers or dangle temptingly conspicuous on neighbors’ trees. Fat pumpkins lie ripe for the picking in fields edging Sonoma county’s highways…slowing traffic to a crawl…as drivers watch kids scamper among the orange globe rows selecting the best Jack-o-Lantern candidate. Knowing Bri, I’m sure she planned her ‘escape’ this way. Bri anticipated Halloween eagerly every year. She loved kids and had hoped to be a mom. So what better way to soften the shock of our grief and dismay with darling kiddos ~ hundreds of them ~ knocking on the front door with a lilting, smiling “Trick-or-Treat!” How could we possibly forget life’s joys, sharing goodies with such innocent ambassadors of enthusiasm?!! Bill and I schedule October 31st ~ Halloween ~ to be home in the evening. We have several Halloween rituals with our own tweaks. We don’t decorate the house or put up lights. LOVE others’ efforts, but never manage to ourselves. We don’t bake for the neighbors or attend costume parties (except on rare occasions…that’s another story!). 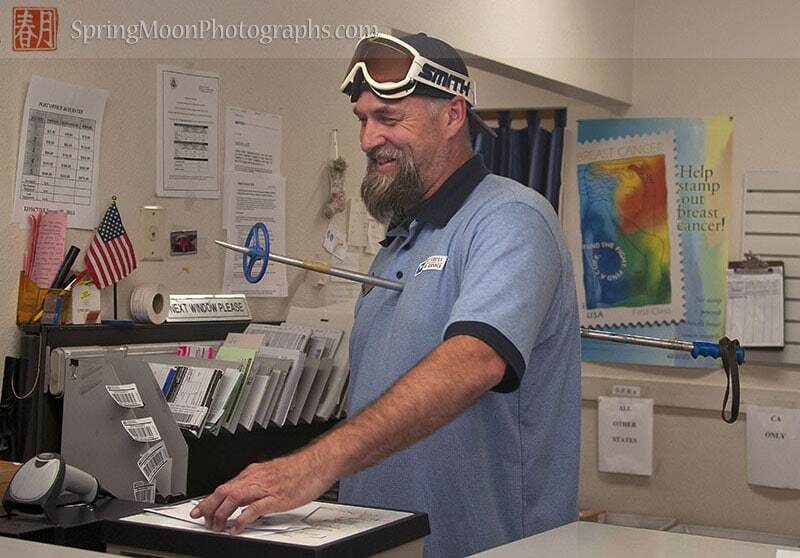 Last Halloween, Dave ~ our local postal worker ~ seemed to be having a ski pole issue. 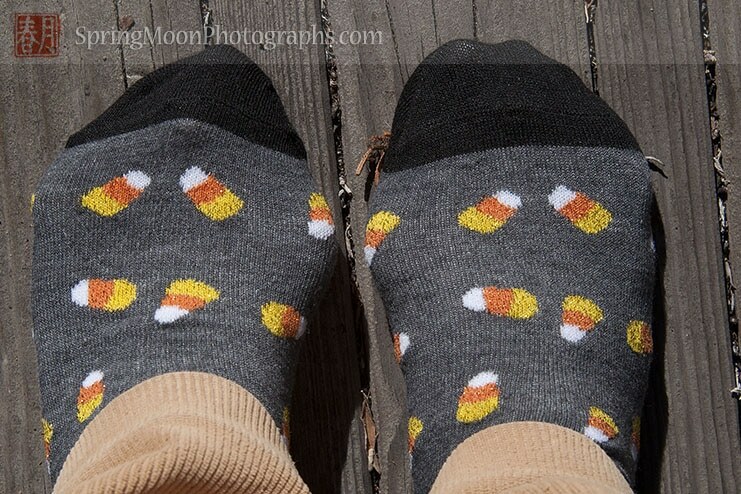 ‘Candy Corn’ socks….about as much of a Halloween costume as I don these days! Last year’s Pumpkin Kitty carved by my husband, Bill. We LOVED the carved textures and so did the trick-or-treaters. 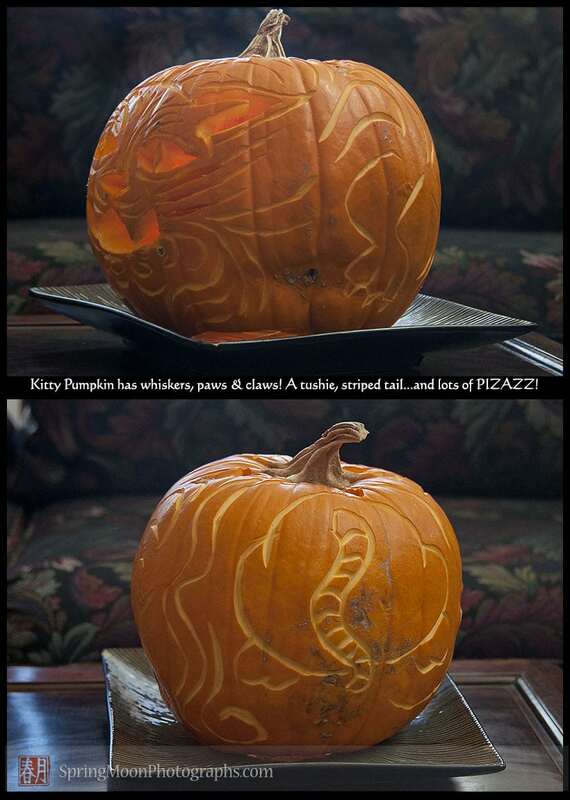 And ALWAYS, often just an hour or so before dusk, we carve artistic pumpkins to cast their warm candlelit-glow-welcome to guide this year’s ghouls, goblins, ghosts, witches, fairies, angels, ninjas, snow whites, princesses, mummies, puppies, and pun’kins to our door. 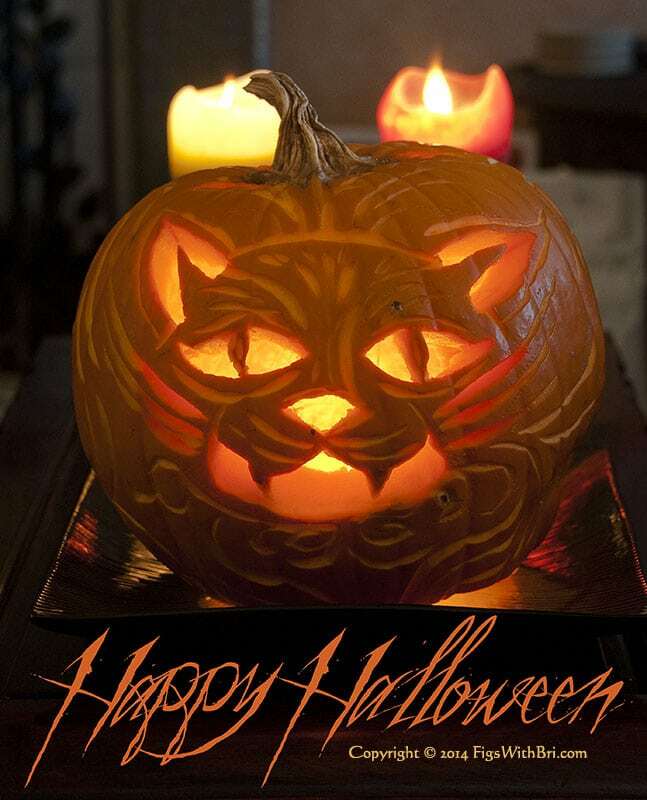 Have a WONDERFUL 2014 Halloween! Treasure the moment, the fun, silliness, and community spirit. We never know how many more lie ahead. Sweet Brizy…Thanks for being OUR Halloween angel. We appreciated sharing life with you and having had you here!